Everyone thinks they know the history of the Las Vegas Strip. But the real story is both fascinating and not well known. What was there before the Bellagio, the Wynn, the Venetian, or those empty plots of land that look out of place? Why is the Flamingo one of the oldest and most surviving hotels on the boulevard? 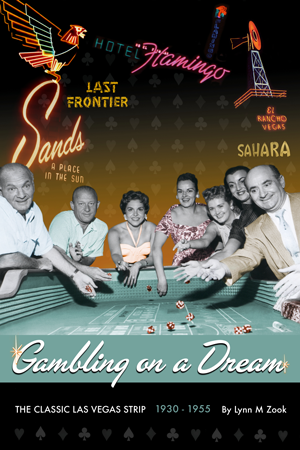 From conception to implosion, you get the detailed histories of the hotels built during those formative years, including the El Rancho Vegas, Hotel Last Frontier, Flamingo, Thunderbird, Wilbur Clark's Desert Inn, Sahara, Sands, Royal Nevada, Riviera, and the Dunes. Included in these histories are architectural designs, the neon signage, and how each of the hotels evolved. This book also includes rarely seen, historic imagery. The dreamers, who saw the future like few others and who built these hotels, helped turn a five-mile stretch of blacktop highway into the Entertainment Capital of the World. This is the story of the first twenty-five years of the Classic Las Vegas Strip—how it began, and how it grew.